Easter marks that spring is on its way! It’s a chance to leave the cold and dreary winter behind and splash out the decor with pastel shades of pink, purple, teal, and more. 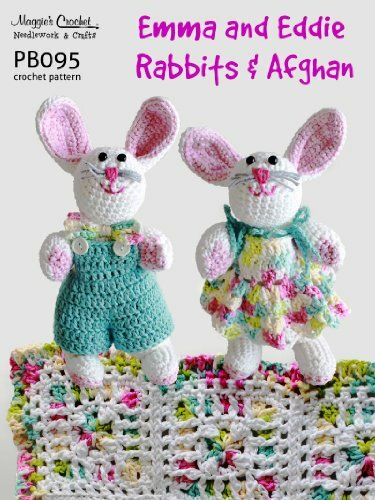 We’ve collected some of the best FREE Easter Crochet Patterns and we’ll be adding new patterns as we find t hhem so bookmark this page and see what’s new! We love this fun amigurumi children’s playhouse! The carrot house opens to store the bunnies inside so your child can take this fun toy on the road. Colorful bunnies live inside his whimsical house and nosh on carrots. 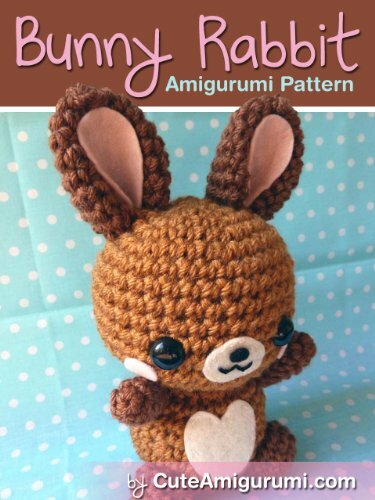 Super cute and free crochet pattern. 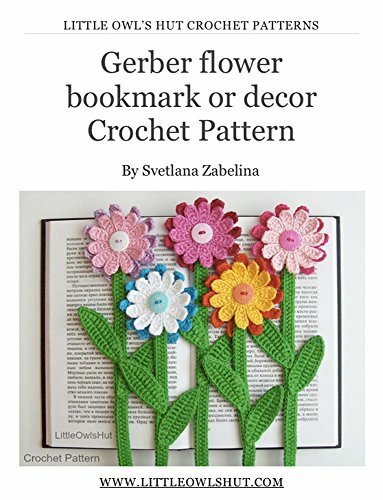 Crochet Supplies: Crochet Hooks – C/2.75mm, D/3.25mm, E/3.5mm or G/4.0mm, J/6.0mm (please see the pattern notes for info on crochet hook size); 6mm safety eyes (black); Polyfill stuffing; Embroidery Floss (white or pink); Clover Chibi Bent Tip Needle Set; stitch marker; Lily Sugar’n Cream cotton yarn in Soft Ecru, Lavender, Mod Blue, Hot Orange, Mod Green, Warm Brown, Faded Denim, and Rose Petal. Add some fun Easter-themed miniatures to your The Traveling Tu Family toy or use them to create your dollhouse, or add hangers to create a cute Easter tree. 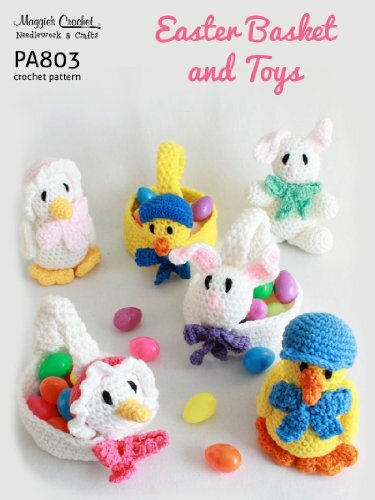 These are part of a set of fun amigurumi free crochet patterns for spring and Easter. The basket is approximately 3″ tall. Project Supplies: Crochet hooks D/3.25mm & F/3.75mm; Clover Chibi Bent Tip Needle Set; Polyfill Stuffing; Worsted weight cotton yarn by Lily Sugar’n Cream in the colors Strawberry, Lavender, Fleur de Lavander, and Jute. These eggs, chicks, and eggshells look great displayed or they can be enjoyed by children as a play toy! You’ll need safety eyes, Clover Chibi Bent Tip Needle Set; Polyfill Stuffing and bits of colorful yarn as well as white (or eggshell). Make with or without plastic egg insert. The free crochet patterns for the Astronaut is available here and the Alien Slug here You’ll need some felt, fabric glue, polyester stuffing, and googly eyes to complete this project. How fun is cute little soft toy?!? It makes a fun Easter gift that can be played with and enjoyed for some time. Fill it with crocheted Easter eggs or chocolate ones! Use up your yarn stash or buy a few Bonbons yarn sets for more color options. Embroidered details make these easy crochet Easter eggs stand out. Use Bonbons Acrylic Yarn for lots of color choices in the same yarn weight. 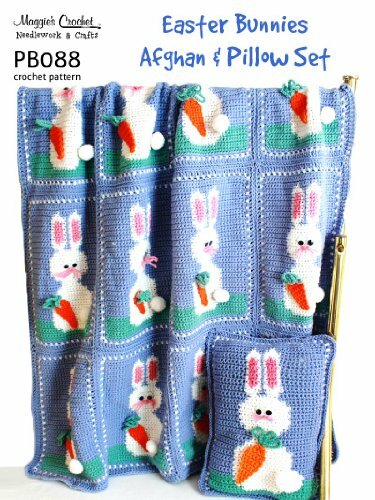 Cover those ugly plastic eggs with this Easter Bunny cozy, and make your Easter Egg Hunt special! Create a basket full of colorful crochet Easter eggs! It’s an excellent way to use up tiny bits of leftover yarn or as a great stash buster! Make enough for a hunt or to fill a bowl – they’re fun for kids to play with, too! 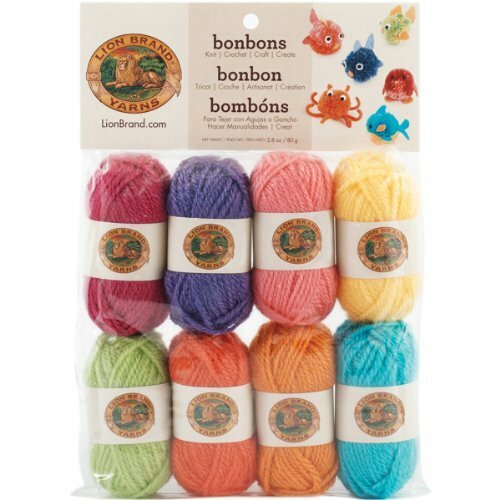 Bonbons Mini Acrylic Yarn Pack (Crayon Themed) are another great option – plenty of color options in the same weight yarn. Fill your Easter basket with these sweet chicks! The chicks are 5-1/2″ tall in a 7-1/2″ basket. These adorable little bunnies are about 4.5″ tall and great for using up bits of yarn. 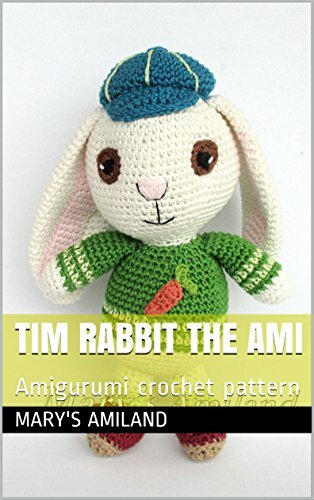 This free pattern is suited for beginner to intermediate crocheters. You’ll need small buttons or safety eyes and fiberfill to complete this project. Want a little bit of yarn in lots of colors? Check out these mini skeins of yarn. ; we like Lion Brand Bonbons because of their colors and quality. Perfect for Valentine’s Day and Easter! 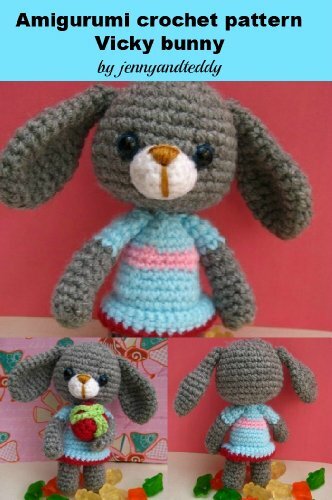 A simple bunny holds a big heart – make them in lots of colors and share! This free crochet pattern is the perfect way to use up those yarn stash bits and pieces. These tiny friends are about 4″ each. Use a cream white, soft yarn for a beautiful set as shown in the sample. The designer used DROPS yarn and DMC Natura Just Cotton. 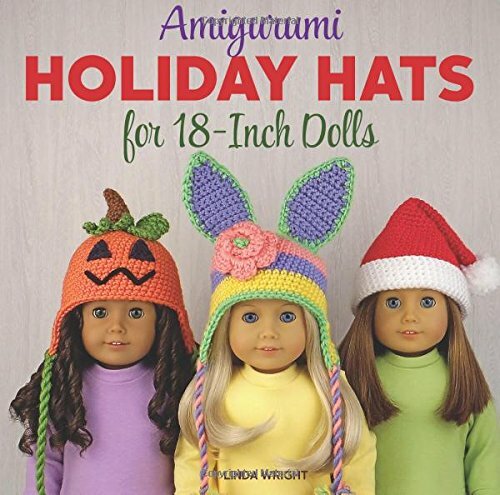 You’ll also need doll safety eyes, polyester fiberfill, darning needle, and pink stamping ink. These itty bitty Easter Bunnies are miniature is size but huge in personality! 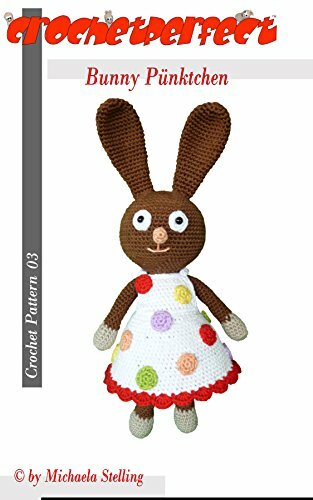 This free crochet pattern fits American Girl Dolls as well as other 18″ dolls like them. 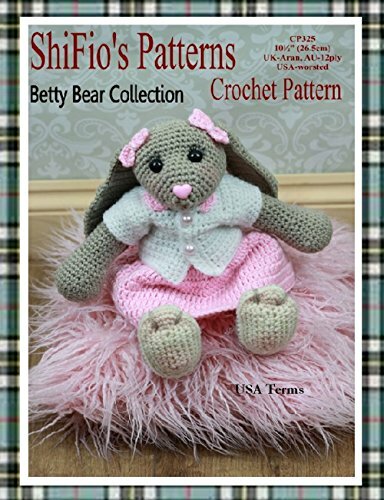 The pattern includes a doll size flower dress, headband, bunny ears, Basket, and Easter eggs. The yarn used is this doll outfit and accessories is Red Heart Soft Baby Steps. These mini decorated Easter Eggs and Basket are perfectly sized for and 18-inch doll like an American Girl Doll. They’re also fun for a fairy garden, doll house, or Easter holiday display. These miniature carrots are about 3″ long – great size for 18″ dolls like American Girl and other dolls of that size. 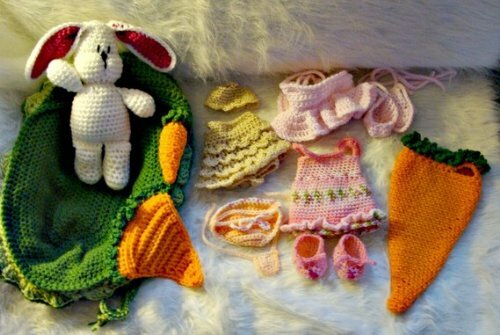 Amigurumi soft plus eggs and carrot (though I thought it was a strawberry :)) You’ll need safety eyes to complete this crochet project. These Peeps are perfect for decorating and stuffing Easter baskets. They’re calorie-free and won’t get stale and hard on you! 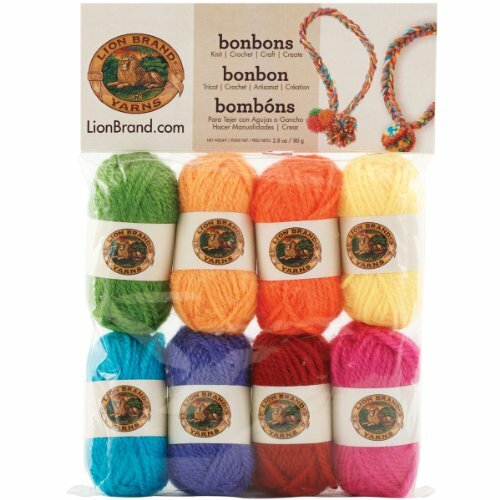 Lion Brand Bonbons are perfect for when you need just a small amount several colors of yarn. They make great friendship bracelets too! 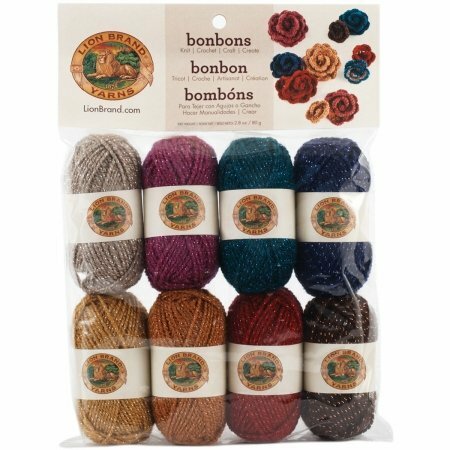 Bonbons Yarn 8-pack Mini Skeins – Nature 1191546MA One of my favorites! Colors nature made like leaf green, pink, lavender, purple, vanilla, brown, tan, and off white. 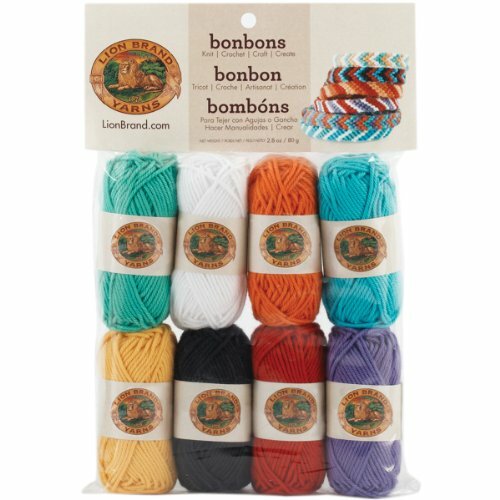 Lion Brand Yarn 601-630 Bonbons Yarn, Beach Colors A beachy palette of teal, white, orange, aqua, yellow, black, red & purple. Lion Brand Yarn 601-680 Bonbons Yarn, Crayons Bright hues of apple green, orange, dark orange, yellow, teal, blue, red, and pink. Lion Brand 601-650 Bonbons Yarn – Party The party set is full of jewel-toned mini skeins with glitter. Blue, pink, rust, brown, gold, silver, red, and aqua. 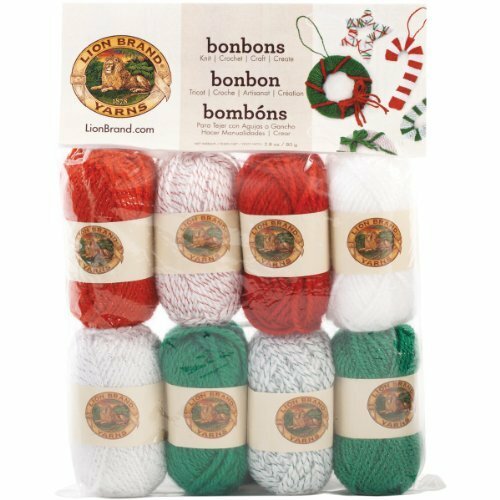 Lion Brand Yarn 601-670 Bonbons Yarn, Jingle Bells Red, green, silver, white, and sparkle. 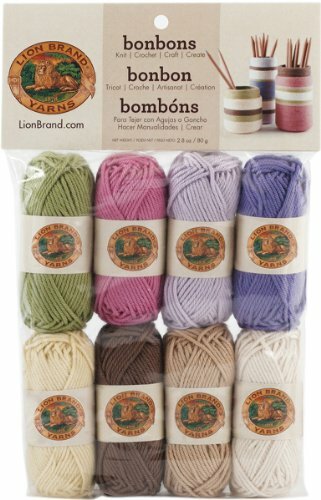 Lion Brand Yarn Company Bonbons, Brights Use these on their own or mix them with the pastel bonbons or other yarn. A miniature skein of pink, purple, coral, yellow, green, orange, pumpkin orange, and aqua. 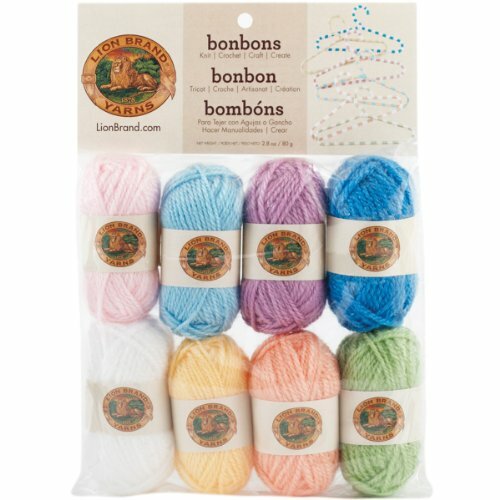 Lion Brand Yarn 601-620 Bonbons Yarn, Pastels Perfect Easter colors! 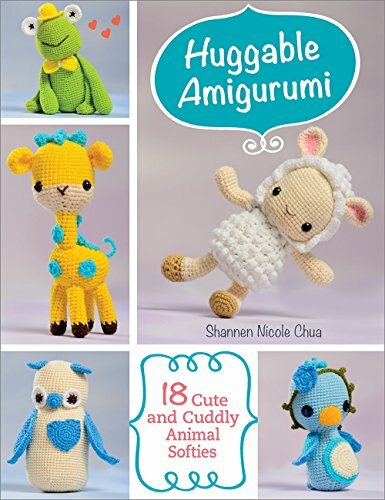 Make amigurumi, add as an accent color, and use anywhere a little splash of color is needed. This sweet color palette includes pale pink, baby blue, light lavender, medium blue, white, yellow, pale orange, and mint green. 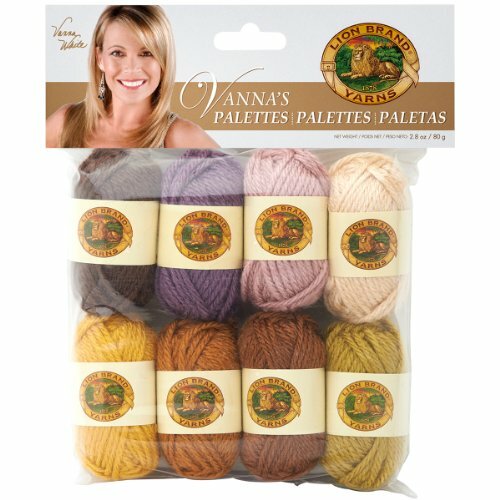 Lion Brand Yarn 865-205 Vanna’s Palettes Yarn, Essential A soft color palette of eight neutral yarn shades – pink, purple, brown, rust, goldenrod, ecru, and reddish brown. 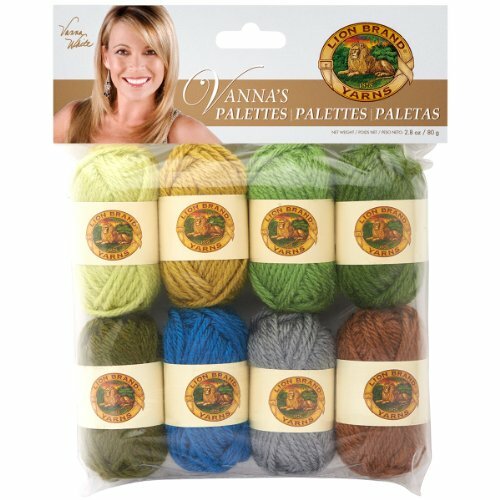 Lion Brand Yarn 865-206 Vanna’s Palettes Yarn, Iconic This rich palette of yarn includes a deep burgundy, orange, yellow, green, blue, lavender, purple, and pink. 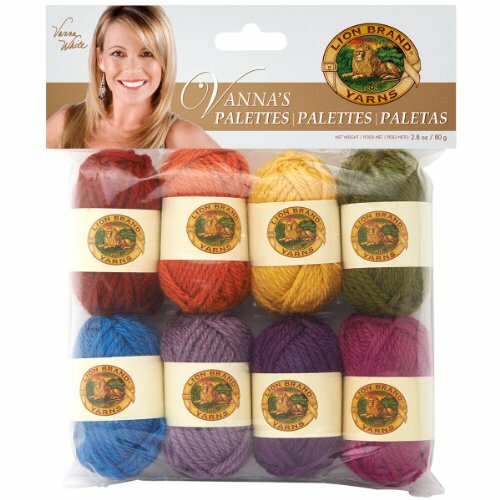 Lion Brand Yarn 865-204 Vanna’s Palettes Yarn, Charming Royal colors of magenta, red, orange, rust, pink, brown, burgundy, and blue. 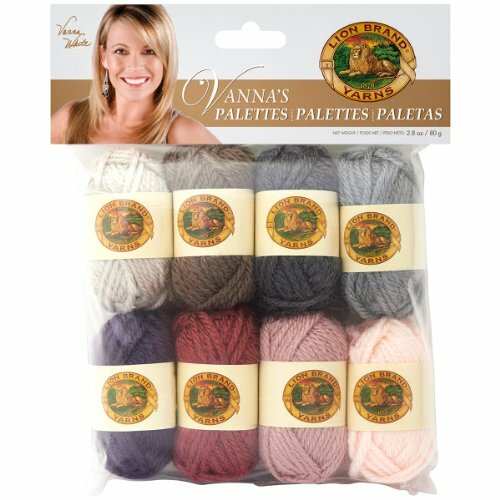 Vanna’s Palette Bonbons Yarn – Romantic pink, and pale pink. 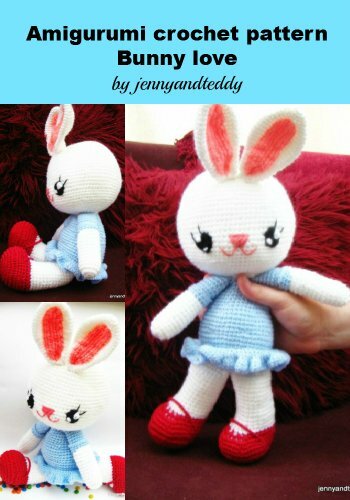 Create a mommy (or daddy) bunny and lots of bunny babies! 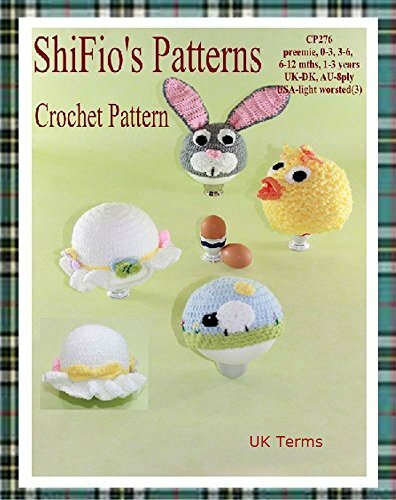 A fun way to decorate for Easter or as a soft toy for a child. Make some adorable Easter stuffed animals. Create a blue spring bluebird, little lamb, owl, and more. 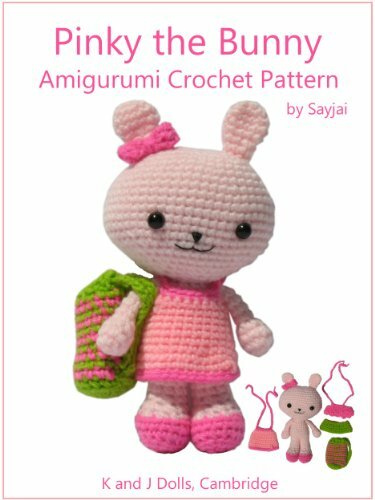 Create this little pink rabbit as well as a dress, 2piece bathing suit, and two bags. 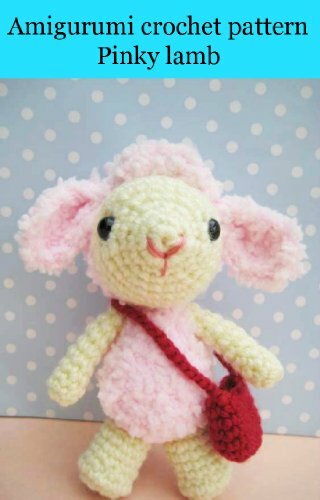 Little pinkie is reminiscent of Shari Lewis’ Lambchops puppet! Create your own little stuffed character. I can’t find the pattern for the cute chicks in the pic at top of site. Also, a couple of the pattern links are not working? 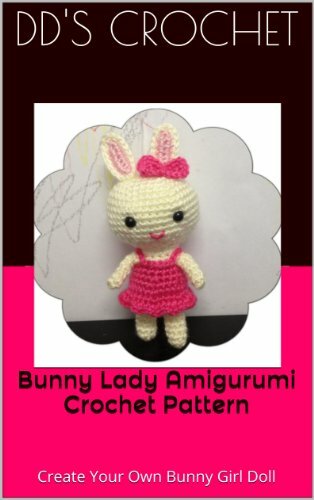 Here’s the direct link to the chick’s pattern http://ohanacraft2012.wixsite.com/ohanacraftamigurumi/single-post/2016/02/29/Easter-Chic-ChicsFree-Crochet-Pattern And any chance you could let me know which links aren’t working? There are a lot of links 🙂 Thanks so much & happy crocheting! These are the cutest things ever! I cannot believe Easter is coming so soon! They are so cute! Great effort. I have never loved crochet but I enjoy seeing finished products like that.. These are so cute, and I love that I can get the patterns for free. I only wish though that I had time to get back to the hobby of crocheting! OH my goodness those eggs are so so cute!! Best heirloom-to-be ever for the holiday! Oh my goodness, those are all just too cute!! 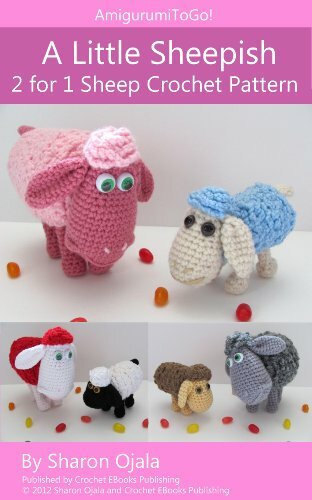 That little lamb one is my favorite by far. Now I need to go buy some yarn! 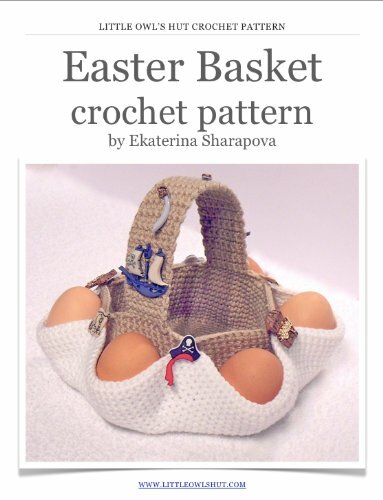 What a delightful assortment of ‘eggciting’ Easter crocheted items. The chicks are adorable. I’m going to try crocheting slugs. They’ll make interesting decor for friends and family. These are adorable! My daughter would love playing with the eggs. Oh how! Adorable! These are so perfect for Easter! Such a lovely gift idea! I agree. These are just so cute and perfect for Easter and spring! 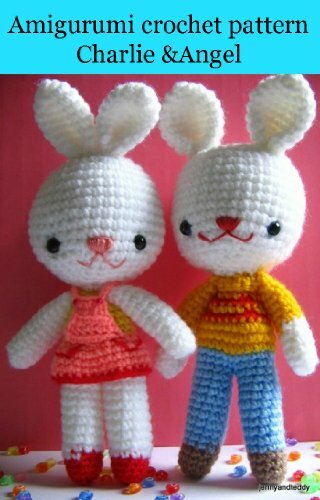 I really want to learn how to crochet!! These are so cute. Do you think I can learn enough before Easter to do it? Omg these are seriously the cutest things ever! My daughter would love the lamb! I cant wait for Easter! These are fantastic! I will have to share this with my Sister. She loves to find new projects to crochet. 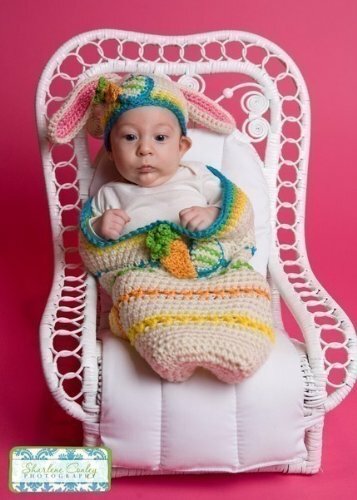 Aww, the Easter colors work so well with crochet! I’m loving all of these ideas. These are so fun. Those are disgustingly cute! I love the little rabbit village. These are all awesome. Those are so adorable! I love all the tiny little amigarumi pieces. They’re so cute! These are all such cute ideas! 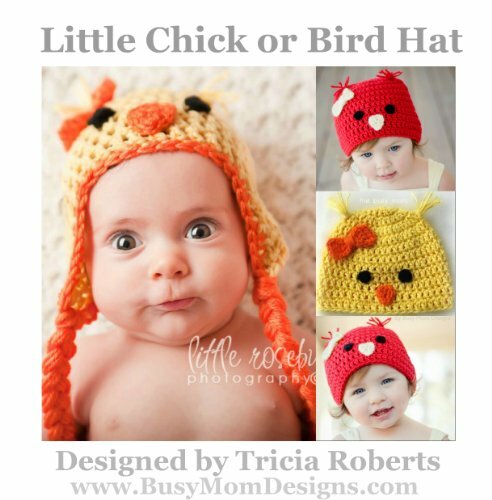 I love the chicken with egg crochet pattern. 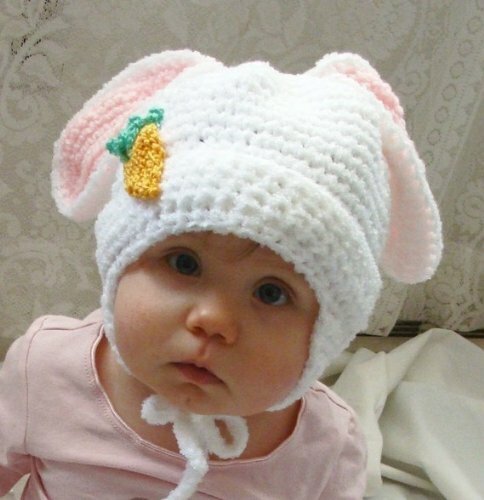 30+ FREE Animal Hat Crochet Patterns – Ready to Make Some Smiles?